In observance of these milestones, below are some key passages from the trial, from a secret transcript taken by a reporter named Frida Vigdorova. The trial took place over two sessions in February and March, 1964 (at the second hearing, a sign welcomed attendees: “Trial of Brodsky, Social Parasite”), and ended in a five-year term of forced labour in Arkhangelsk. The appearance of the transcript in English, American, West German, and Polish publications shortly after caused a bit of a sensation outside the Iron Curtain and some embarrassment inside. By the time Brodsky was “strongly encouraged” to emigrate from the USSR in 1972, he already enjoyed a certain reputation in the West. The trial had only one possible outcome, which everyone present well knew. Yet there are moments of unanticipated tension in the exchanges between the judge and the defence, which stem not from the absurdity and injustice of the situation (accounts are that these were taken for granted and not much protested by Brodsky or his lawyer) but rather from a competing understanding of what counts as a “profession” or “occupation” or “work”. Judge: We don’t want your thoughts. Stand up properly! Don’t lean against the walls! […] Do you have any regular work? Brodsky: I thought that was regular work. Judge: We are not interested in your thoughts. Answer me, why didn’t you work? Brodsky: I did work. I wrote poetry. Judge: That doesn’t interest us. Counsel: Had you any relations with the translators’ section of the Writers’ Union? Brodsky: Yes, I took part in the regular poetry readings called ‘For the First Time in Russian’ and read translations from the Polish. Judge (To Counsel): You should ask him about useful work, not about public appearances. Counsel: His translations are his useful work. Judge: Brodsky, it would be better if you explained to the court why you did not work during the intervals between jobs. Judge: But that didn’t have to stop you working. Brodsky: But I did work. I wrote poetry. Judge: But what is your specialist-qualification? Brodsky: No one. (Spontaneously.) And who put me on the list of human beings? 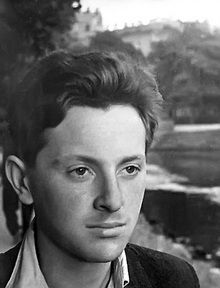 Brodsky: I have written poems. That is my work. I am convinced … I believe that what I have written will be of service to people not only now but in generations to come. Voice from the hall: Go on! You’re kidding yourself. Another voice: He’s a poet. He’s bound to think that way. Judge: So you think that your so-called poetry is of service to the people? Brodsky: Why do you say ‘so-called poetry’? Judge: We call your poetry ‘so-called’ because we have no other conception of it. After which is read a letter from a young woman who speaks of Lenin in terms lacking all respect. Impossible to understand the relation between the letter and Brodsky. He didn’t write it and it wasn’t sent to him. Me: I’m a journalist, a member of the Union of Writers. I write articles on youth education. I ask permission to take notes. Judge: Who knows what notes you’re taking there! Stop immediately! A voice in the audience: She has started taking notes again! These writers! They should all be expelled from the city! Intellectuals, we’ve had all we can bear! I’m also going to get a prose translation and write poems! Hey, you heard what his lawyer said? The lawyer, she says that for money. The prosecutor does it for free. So he must be right. That’s a load of nonsense. That’s it, insult me! I’ll call the guard! You there, what were you taking notes for? I’m a journalist. I write on youth education. I want to write about the trial. What is there to say about it? It’s all clear. You’re all on his side. We ought to rip those notes off you. Oh boy! Threats! Hey, guard! I’m being threatened.